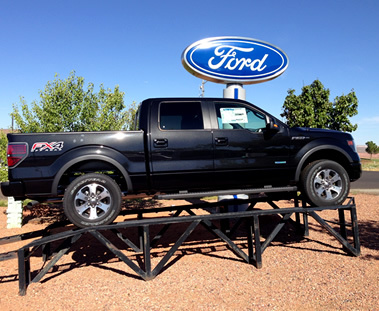 Ford has announced it is recalling 1.5 million pickup trucks that have a problem possibly downshifting without warning—the recall covers F-150 trucks that came out in the years 2011-12 and 13 with six-speed automatic transmissions. The glitch is in the signal that is sent from the transmission speed sensor, so far five accidents including one that resulted in a whiplash injury have been reported. Ford says letters to owners about the recall will go out the first week of March, but you can also enter your VIN number into the Ford website to see which recalls your vehicle might need to have replaced.